Medical gap cover is a universal phenomenon in the Western world. But what is medical gap cover? Medical schemes everywhere are under financial strain, with the result that not all medical expenses of members can be met by medical aids. So for certain treatments, consultations and medication there is often a gap. A gap is a shortfall between the amount that the medical scheme pays and the amount charged by health providers. And these include specialists, hospitals and pharmacies. The medical scheme member must pay the difference between the two. This is the self payment gap. In extreme cases this can amount to hundreds of thousands of rands. And the patients must pay out of their pockets to cover their medical costs. Gap cover, or top up cover, was the insurance industry’s response to this situation. It gives medical aid members peace of mind, knowing that they will not receive unexpected huge bills in the event of an expensive medical event. In South Africa the emergence of medical aid gap cover, which is now offered by all the major insurance firms such as Old Mutual and Discovery Health, and by specialist firms such as Complimed, has led to some friction between insurers. The regulations pertaining to gap cover are now under review. Some large medical aid schemes argue that people are buying cheaper and less comprehensive medical aid, paired with gap cover, to meet their needs. This is having a deleterious effect on the medical schemes. Others say that gap cover is essential and that by removing it, low income earners in particular will suffer. They would probably give up having medical aid altogether as it would be too expensive. The existence of gap cover makes it more likely they will stick to their medical schemes. South Africa’s Council for Medical Schemes, the statutory body that implements the laws as they apply to medical aid companies, has laid down nearly two hundred Prescribed Minimum Benefits (PMBs), including 27 chronic conditions, that all medical schemes must offer their members. The scheme must cover all the medical expenses associated with these conditions and other events such as medical emergencies and most cancers. These PMBs have, of course, sent the cost of medical aid spiralling upward and has made payout of non-PMB-related events less than previously. 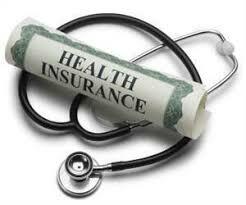 That has led in turn to the popularity of gap cover, top insurance, hospital plans and non-medical aid health insurance. On the other hand, medical schemes – unlike health insurance, gap cover or top up cover – must law to accept anyone who can pay the premiums. On the other hand, health insurance is subject to a health check up. In addition, medical schemes are structured so that the younger members subsidise the older members. This is in the interests of everyone who wants access to private health care. What is Medical Gap Cover? – Do You Need Gap Cover? The best way to establish whether you need gap cover is to talk to your broker. He will give you informed advice on the matter.